Long before Theory was known as one of the cornerstones of American minimalist fashion, the label made a name for itself as the suiting go-to for the young, chic, and upwardly mobile. When I was a baby attorney in the early aughts there was an unwritten rule: partners wore Armani, but partner-track associates had a closet full of Theory. The contemporary label may have broadened its base since the heyday of minimalist suits, but that doesn’t make their stretch wool suiting separates any less appealing. Beyond the fact that this is an excellent sale price, these wool trousers are a classic investment piece that will anchor your closet for years. They can be paired with a Theory stretch wool suit jacket for the business-professional look. Pull on a slim sweater and block-heel pumps for a less formal, yet still dressy office ensemble. A satin blouse and strap sandals make them perfect for a night out. The options are endless. 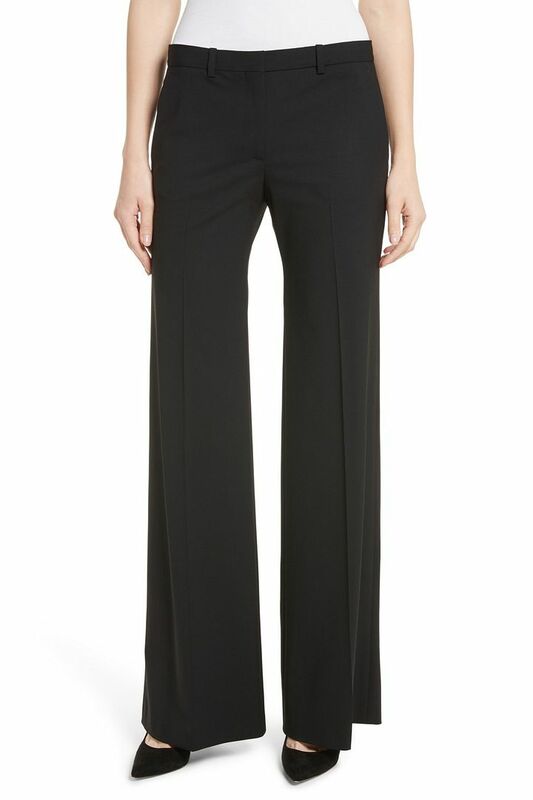 → Buy the Theory Demitria Wool Suit Pants, $99.97 (was $295.00), at nordstromrack.com.